So it’s almost that time of year where a watch lovers dream come true. 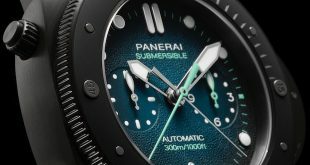 The Salon International de la Haute Horlogerie is ready to show off the newest watches top brands have to offer in this highly private event. 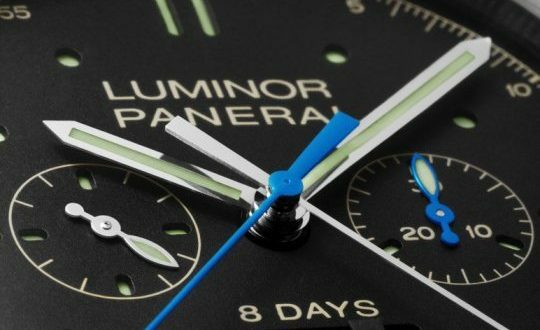 Panerai has given a sneak peak into one of the models that will be shown at this years SIHH and it comes in the form of a beautiful 1950’s case. 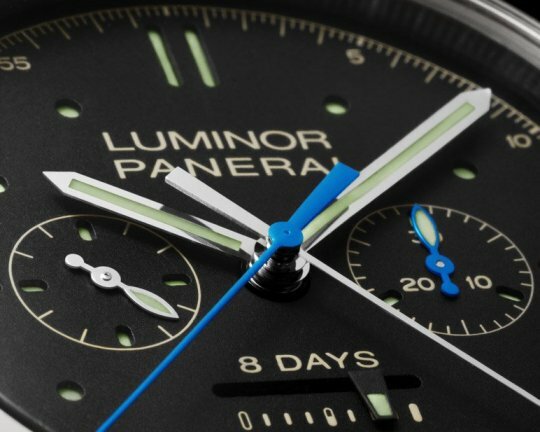 The PAM350 uses an in house Panerai P.2006 movement and is hand-wound. This movement has a power reserve of 8 days. The movement also has a function that zeroes the hands when you are trying to set the time making it much easier to synchronize the watch for any event. Yes, even for the time when you have a mission with James Bond and you need to sync up with his Omega. 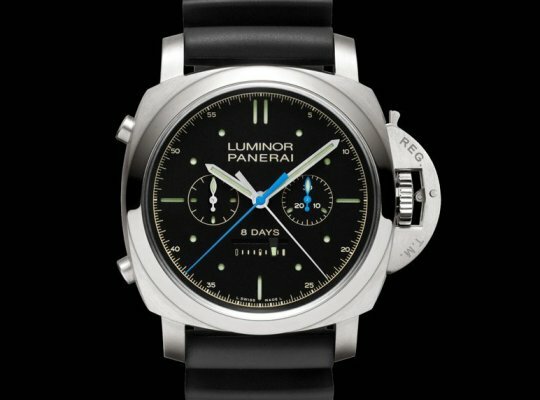 The PAM350 which is called the Luminor 1950 Rattrapante 8 Days will make it’s debut in Geneva later this year. This gorgeous watch has a split-seconds chronograph function (known as rattrapante) has a vertical cluck and twin column wheels. This system operates the two hands that are superimposed and somewhat independent of each other. 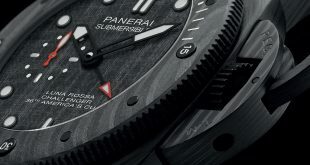 The first button which is located near the 8, is what starts, stops and resets the chronograph. The second button on the 10 position, is used to measure partial times or split times. One note of interest is the seconds hand actually jumps compared to a continuous motion. The case itself uses the 1950’s design and is 47mm in diameter. The back features a clear crystal so you can see this amazing movement up close and personal. 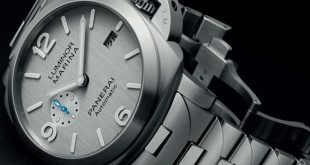 The bezel is made of titanium and has a polished finish. This amazing watch is of course going to be a limited edition when it is released so get ready to make a mad dash for this amazing work of art.